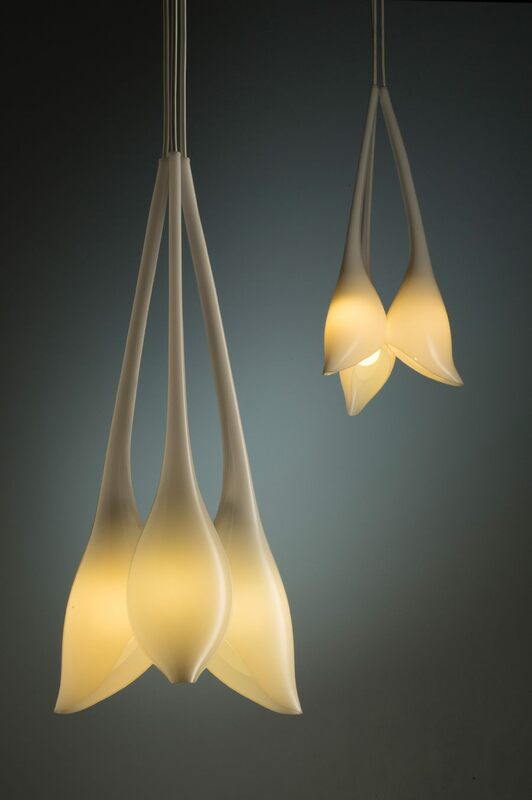 Aracea is a three flower chandelier design collaboration between Robert Foster and Bengt Cannon. This elegant floral like chandelier takes a singular pendulous form and composes it into a bouquet of light. Again we have attempted to simplify every aspect of the design, reducing any clutter while enhancing the essence of the story and the function of its components. Materials: Acrylic with compact fluorescent globes.